I am back on track and took a week off from the color challenge as I was on a much needed vacation with my family in La Quinta, California. While it was over 105 degrees each day this card is cool as a cucumber! 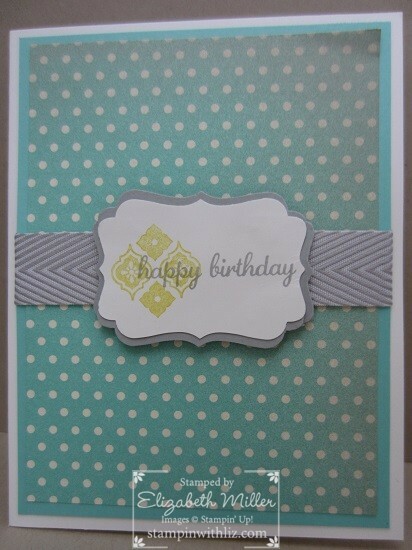 I love the new in colors and Coastal Cabana is one of my favorite.